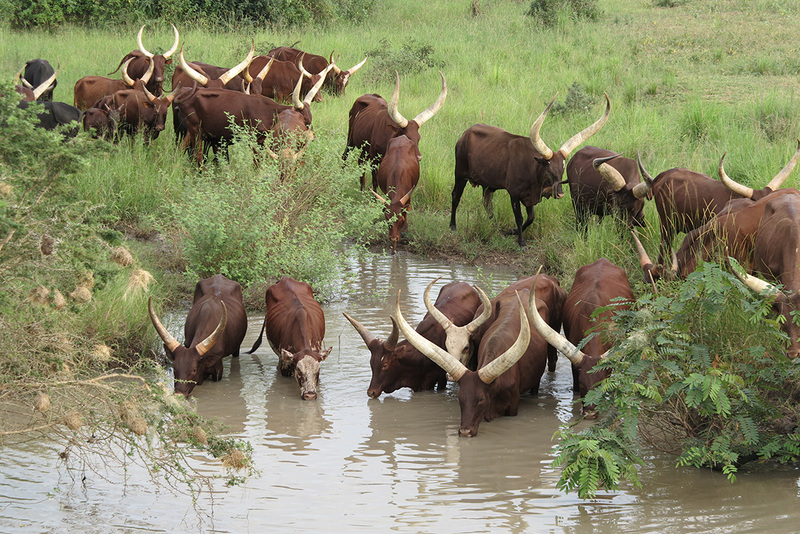 If ever there was an African Eden, it is Uganda. A place of vastness and extreme natural beauty, with genteel people and rare wildlife, this is Africa’s garden of the gods. Late afternoon we arrived in Kibale, welcomed by clouds of tiny brown butterflies. The Kibale Forest National Park is 795km² and with 13 species of primate has the greatest primate variety and density in all of East Africa. Here there are also 375 different birds, 250 butterfly species and 21 species of snake. Plus there are about 500 elusive forest dwelling elephant, plus the reason are here: 1 450 chimpanzees living in 13 different territories across this mountain rainforest. We fall asleep, in our tented rooms set in forest clearings, to the sound of noisy tree frogs. They seem to be imitating cell phone ringtones as loudly as possible. A beeping alarm clock beckons us to awake and kit up for an experience we’ll never forget: meeting wild chimpanzees deep in Kibale forest. Expectations are high because there’s a 90% chance of finding chimps here. While they nest in different places every night, they remain in their territories so we need to be in the forest early before they start moving around. Once they’re in action, keeping up with the chimps as they leapfrog through the forest canopy is difficult. Hiking is slippery and beautiful. Spindly mushrooms sprout from crumbling logs and frilly fungus adds splashes of colour on the forest floor. Chimps are calling in the tree tops. Prossy stops to listen and adjusts our direction a little. “They’re close,” she whispers, “prepare to meet our charismatic cousins.” Chimps are 98.4% our DNA; gorillas are 98.2% the same as us, which is a little unnerving to think about. 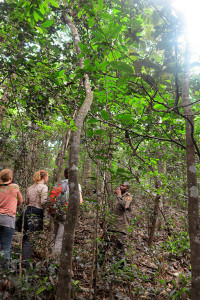 Prossy stops and points to the top of the forest canopy. High above us sits a chimp, quietly, with his bum on a branch. It’s our first chimp sighting. Not gracious, but comical. 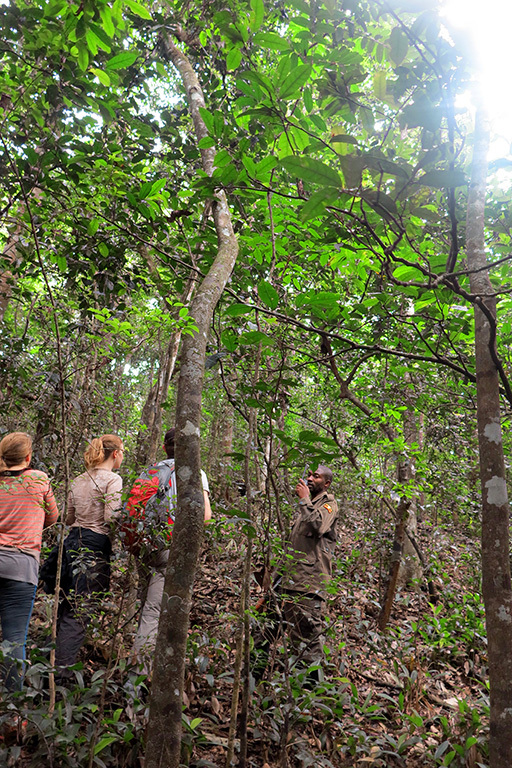 Bwindi Impenetrable Forest is 230km away and a completely different world of dense and ancient forest. There are over 200 species of tree here, along with a huge variety of natural life that is difficult to get your head around – 350 bird species; 310 butterfly types; 88 different moths; 51 species of reptiles and 120 different mammals. To get there is also along a red sand road that winds past magnificent still life crater lakes and the moody Rwenzori Mountains in the west – where Uganda’s highest peak resides. Later in the day we later weave through rolling tea plantations, passing bicycles piled high with green bananas for market day. 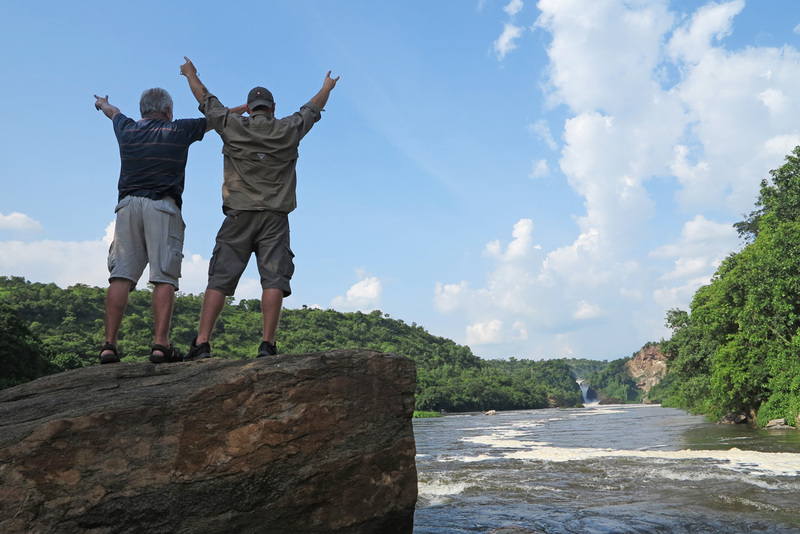 Most impressive in Uganda is that wherever you travel – city, village or countryside – it’s litter free. There can be no cleaner, greener country to visit in Africa. Arriving in Bwindi is no different. 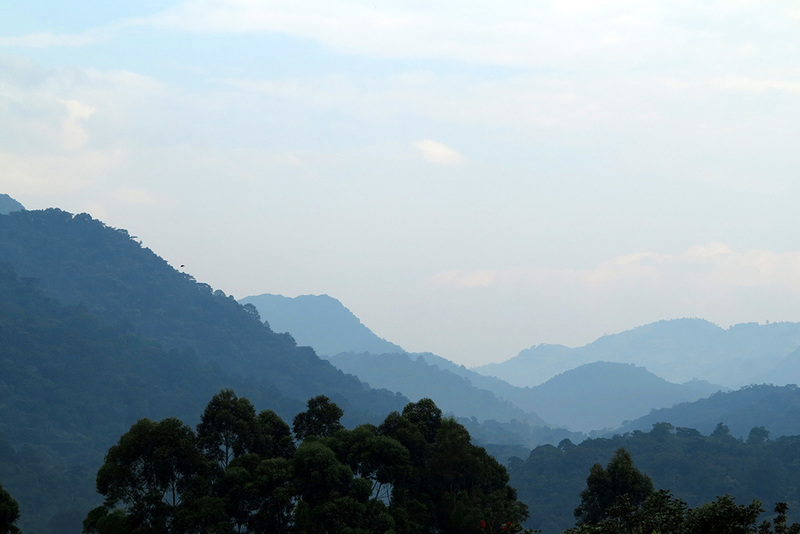 This is home to endangered mountain gorillas and half of the world’s population of about 700 live here. The rest are split between the Virunga National Park in the DRC, Parc National des Volcans in Rwanda and tiny Mgahinga National Park in Uganda. Bwindi is also the historical home of the Batwa pygmies, who in 1992 vacated their historical forest home and left it for the gorillas. 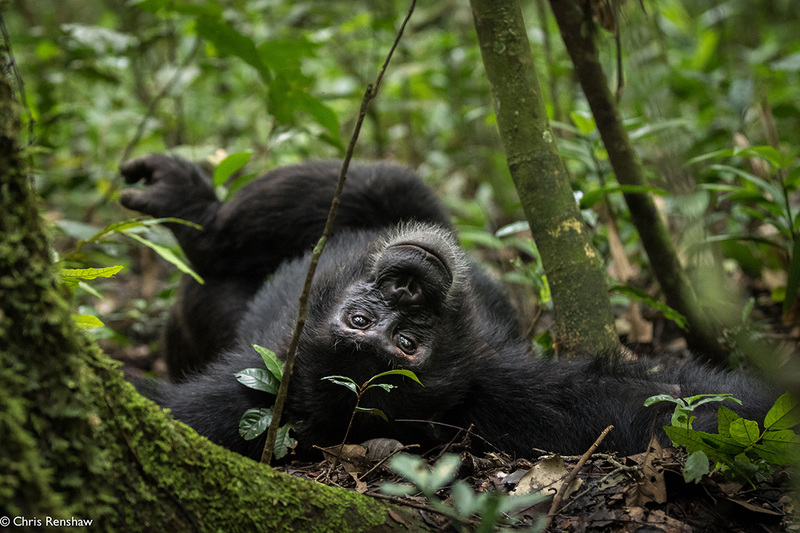 This because living in close proximity to gorillas could spread disease – like the common cold – to gorillas which don’t have the immunity to fight it. 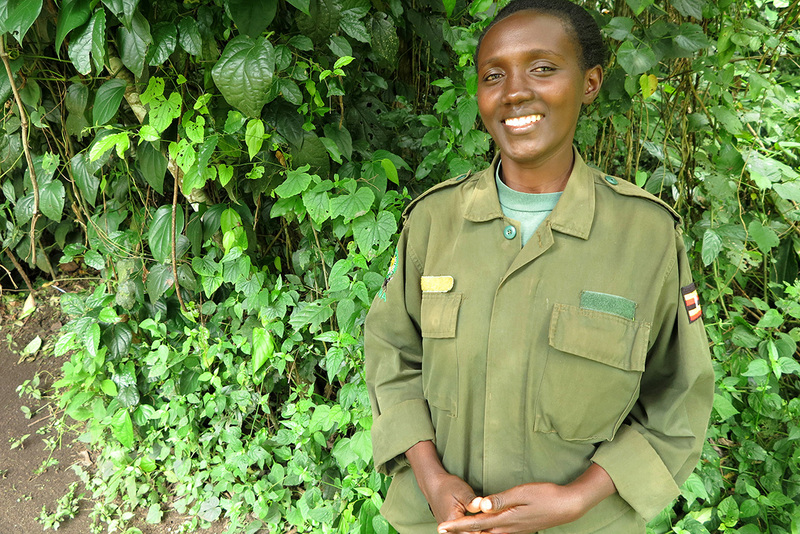 Trekking gorillas in Bwindi is tough – literally uphill – unless you are allocated to a particular group that lives around the foothills, but that still requires good walking fitness. The forest is dense, hence its impenetrable moniker, but the physical effort and exhaustion is definitely worth it. 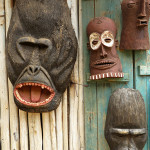 Looking into the chocolate eyes of a massive mountain gorilla is a moving experience, like recognising a kindred spirit. They’re just so much like us, and not. 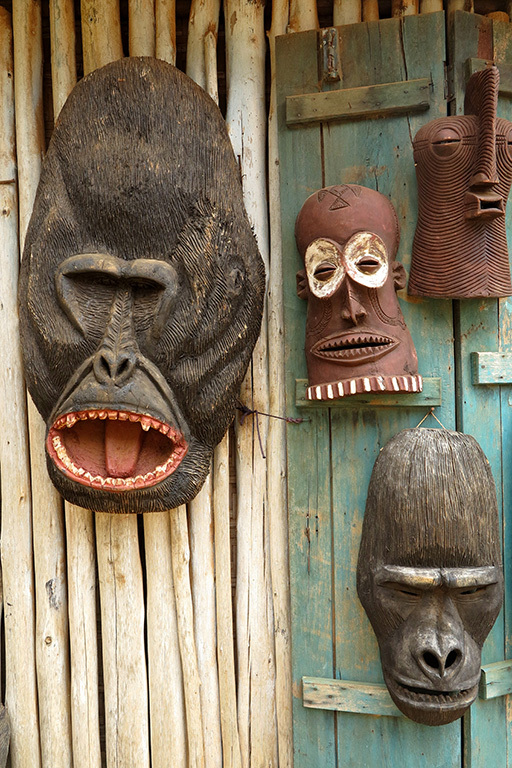 Best time to visit: Uganda is on the equator and bordered by Kenya, Tanzania, Rwanda, the DRC and South Sudan. Weather is warm all year but cooler in the rainy seasons of April and May and November to mid-January. 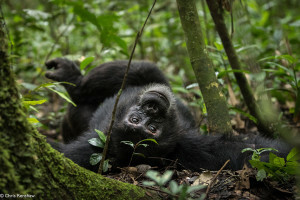 Best times for trekking chimps and gorillas: the dry season from June to August, and January and February. For birding, visit February to May and September to November. Uganda has over 1000 species, more than any other country in Africa. Visas: $100 on arrival at Entebbe for South African passport holders. Road travel conditions – mostly red sand roads through the western safari circuit of Uganda. General safety – people walking long the roads with pangas are simply heading to work in their food gardens. No reason to panic; Uganda is far safer than South Africa. Please feel free to comment on this post.